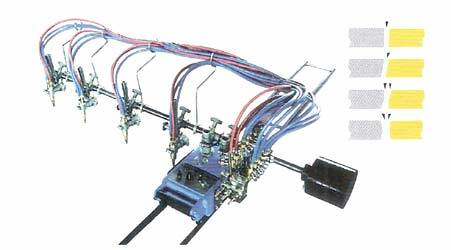 This machine is the replacement of small straight cutting machines available in market. Suitable for most durable, reliable & precise cutting. Diameter: 200 dia - 2000mm dia. 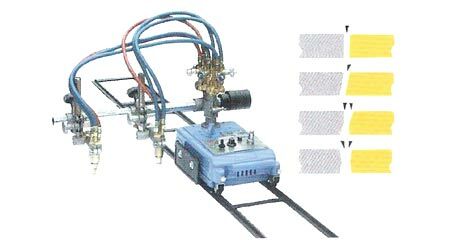 Can be used for other applications as Plasma Cutting & MIG Welding etc. Double torch can work at same time. Mainly engaged in linear cutting I.Y.V. (45 ) bevel could be cut. Input voltage : AC 220V/50Hz. Machine body is made of high-strengthen aluminium ingot. Silicon controlled antenna controlling speed. High speed switch : Quite convenient. 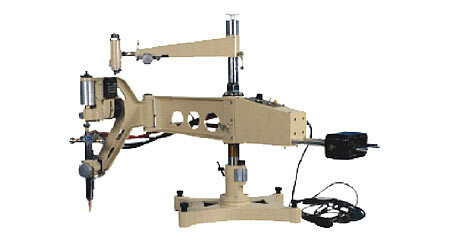 Ten torches cutting machine with two-side drive, high running stability. High precision rate, surface roughness reaches. Steel plate thickness : 5-50mm. Cutting Speed : 50-750 mm/min. 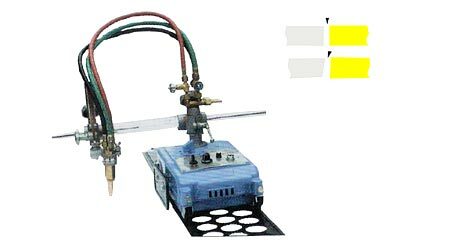 We are engaged in offering a wide assortment of Portable Type Profile Cutting Machines, which are available in various sizes and specifications to cater the demands of clients. Ideal for small scale business or workshops, these machines are durable and light weight. These are used across various industries for number of applications. 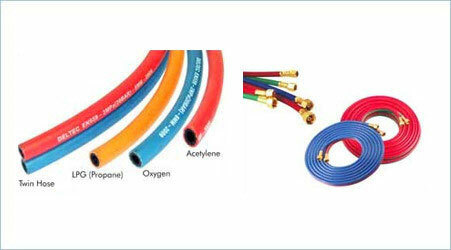 FOR GAS CUTTING - BLUE FOR OXYGEN AND RED FOR LPG AND D.A.